The Bush regime filled the off-shore prison at Guantanamo Bay with men seized from around the globe, using torture that was legally justified as “enhanced interrogation.” When Barack Obama was elected, he quickly promised to close it within a year…five years ago. But it is still open, with new infrastructure and more personnel than ever. Most people have no idea there are still 82 prisoners there who were cleared for release years ago; 45 who the President says will never be charged or released; and “military commissions” trials designed to cover up the torture inflicted on the prisoners, depriving of them rights the U.S. claims to cherish. 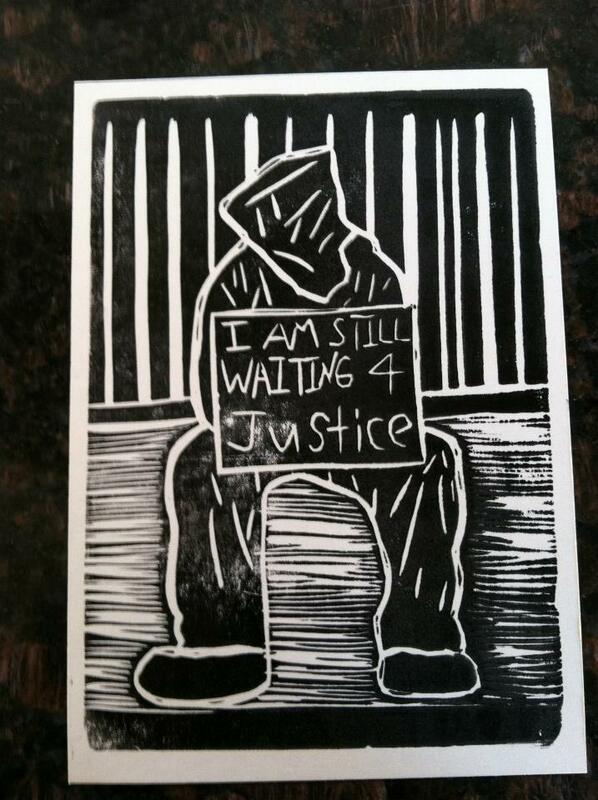 Why, as the “war on terror” is said to be winding down, will this country not close Guantanamo? And what is our responsibility to see that it does? Debra Sweet, national director of World Can’t Wait, and Andy Worthington, UK-based journalist who has covered Guantanamo since 2006, will be on a national tour next month answering those questions. We will gather at the Federal Courthouse in Chicago (Dearborn and Jackson) on the 12th Anniversary of the opening of Guantanamo Bay Prison to demand an end to indefinite detention and the closure of this torture camp. We invite you to wear an orange jumpsuit and black hood (provided) and hold a sign to protest “12 years too many!” We will read the names of the 164 men detained indefinitely in Guantanamo and pass out a flyer to educate passersby. If you are on Facebook, please “join” our event there, and invite friends. Our witness is more powerful with you ! We will begin the evening with visual art projects related to the movement to close Guantanamo Bay Prison (more details to come soon!). 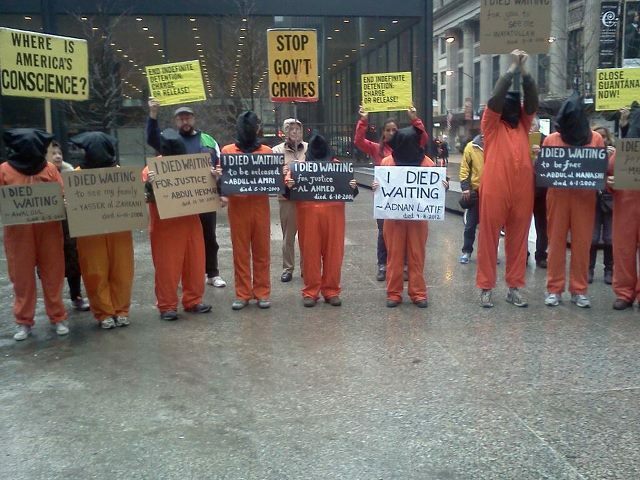 The Chicago Coalition to Shut Down Guantanamo (World Can’t Wait Chicago, Witness Against Torture, White Rose Catholic Worker, Illinois Coalition Against Torture, Chicago Committee to Free the Cuban Five).